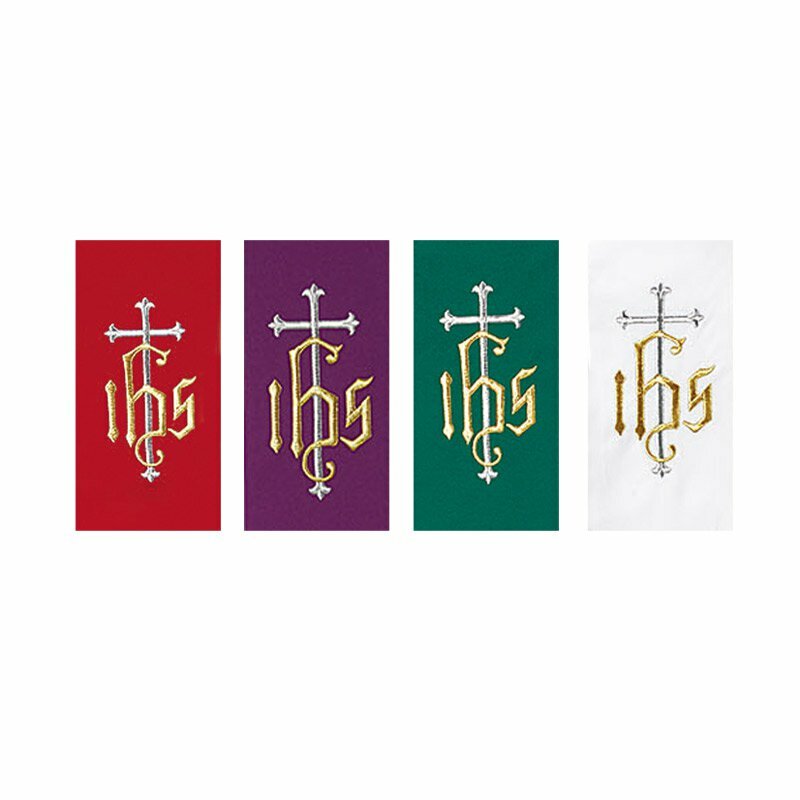 This overlay stole features two-tone embroidered cross with IHS on 100% smooth weave polyester, and includes a back cord to keep stole comfortably in place. 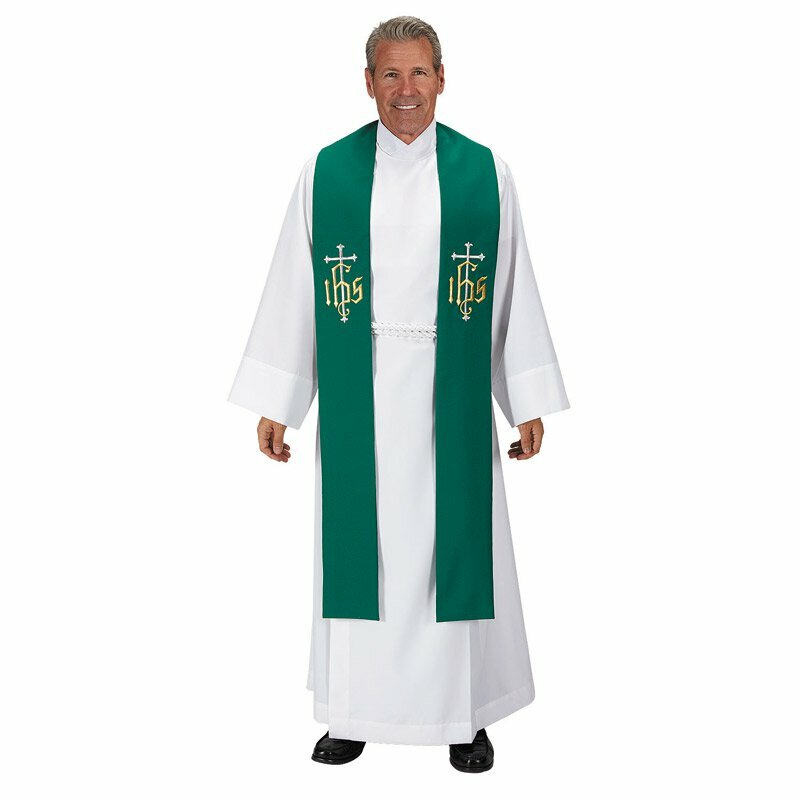 Availalble in Green, Purple, Red and White. Specify color when ordering.